Each year the Society for Cryobiology awards approximately $10,000 in travel grants to student members from around the world enabling them to travel to the meeting to present their research. A further $3,000 in prize money is awarded to the winners of our competitive prizes, the Peter L. Steponkus Crystal Award, John K. Critser Award, and the winner of the Poster competition. The top four applicants, as selected by the Student Awards Committee, will present their work in a special session during the meeting. The winner of the Peter L. Steponkus Crystal Award will be awarded an honorarium of $1,000. The Critser Award offers meeting travel and expense support in the amount of $1,500 for the top ranked extended abstract. This award is generously endowed by the Critser Family. All student posters are eligible to enter the student poster competition. The winner will be awarded an honorarium of $500. Exact award amounts will depend on your geographic location and are at the discretion of the Student Awards Committee. Grants may be used for registration, travel, or accommodation. Grants usually range between $500 – 1,000. 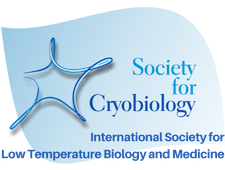 To enter the student awards you must be a current student member of the Society for Cryobiology. Student membership is free with supporting evidence of full time student status. Protection against cell death during cryopreservation with wheat proteins: which mode of cell death? Does cryo-preparative drying cause apoptotic-like programmed cell death or necrosis in isolated eucalyptus grandis axillary buds? 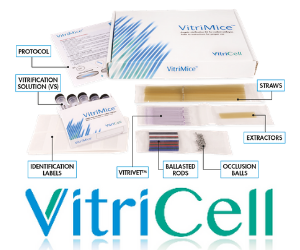 Cryoinjury to the genome. Any consequences?